Bill C 51, Canada’s so-called ANTI-TERRORISM ACT was introduced to Parliament on January 30, 2015. Bill C 51 is now being brought before the House committee on National Security and Defence. 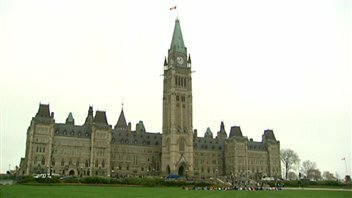 Pending approval it will eventually be re-introduced to the House of Commons for a final vote before it is enacted into Law. Legal experts, civil liberties groups including Amnesty International, and the aforementioned politicians have begun to sound the alarm bells about this legislation. They argue that it it will have adverse impacts on Canadians not even remotely involved in terrorist activities. So for example, if a project like the Keystone XL pipeline is deemed by the Canadian government to be a priority and strongly in the Canadian interest, then CSIS could theoretically provide misinformation to an anonymous foreign environmental funder in an effort to deter that funder from continuing to secretly fund a Canadian environmental group planning a protest of that pipeline without the requisite permit. Likewise CSIS could break into a private home in order to destroy equipment it believes may be used to wreck pipelines. It could infect and destroy the computers of a radical environmental group believed responsible for “tree spiking,” but for whom there is insufficient evidence for criminal charges. Bill C-51 (Antiterrorism Act 2015): Short Primer on Key Aspects from Craig Forcese on Vimeo. Turning up the heat around this legislation, the day before Bill C 51 was to be voted on in Parliament, there was (coincidentally?) a story circulating in Canadian media warning of a Somali-based terrorist group inciting loyalists to launch attacks against facilities in Canadian cities, including the West Edmonton Mall. This week’s Global Research News Hour focuses on some of the most regressive legislation introduced in Canada in a very long time, and particularly the role media is playing in enabling what Green Party leader Elizabeth May has dubbed ‘Secret Policing’ in the country. Long time journalist, author, and media critic Barrie Zwicker dominates the hour with his take on the media campaign and whether it represents an unwholesome collusion between Canada’s fourth estate and the invisible government. Zwicker’s analysis is followed by a brief breakdown of the Anti-Terrorism legislation by this producer. The source for this material is mostly derived from a series of backgrounders from the aforementioned legal experts. Finally, we hear a classic tune from legendary folk singer Phil Ochs.